Minister for Children Katherine Zappone has said she is assessing whether to fully excavate the site of the former Mother and Baby Home in Tuam, or to limit the search for human remains to areas where burials are strongly suspected to have taken place. Ms Zappone outlined her thoughts on the issue to a meeting in Tuam this evening. 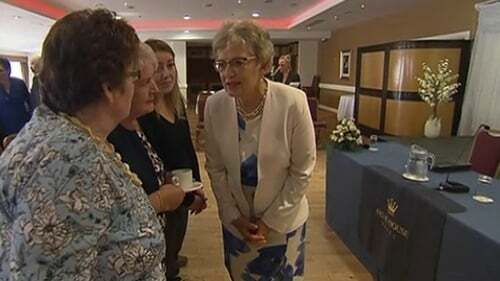 The consultative meeting convened by Ms Zappone attracted former residents of the Catholic-run institution, as well as Catherine Corless, the woman who uncovered the scandal of burials in a septic tank on the site. Ms Zappone told her audience of over 100 people at the private meeting that she is assessing whether to fully excavate the Tuam site or to test all the land for out-of-the-ordinary soil patterns and then excavate those pinpointed areas along with the current memorial Garden and a series of underground chambers. Ms Zappone also warned that many urgent legal issues remain to be dealt with. Such issues include making sure the Government has the legal authority to exhume the human remains, examine them, carry out successful DNA tests where possible and to reinter them in a place to be agreed. She added that she hoped to bring proposals to Government by early autumn.